Though its history reaches back 1000 years, with some of the architecture still present today, Sundvolden Hotel features the latest modern amenities and services, including decadent bedding, wireless Internet access, spa, and fitness center. Originally a modest staging inn, Sundvolden Hotel, is now owned and managed by Tord and Cecilie Laeskogen. 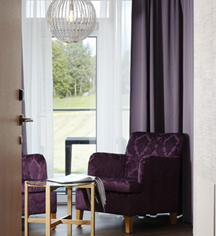 Situated near Oslo and Gardermoen, Sundvolden Hotel is the perfect place to experience "miniature Norway". The fjords, mountains, and lush and mystical woods are all accessible and provide a romantic fairy-tale backdrop. Sundvolden Hotel, a charter member of Historic Hotels Worldwide since 2012, dates back to 1648. Sundvolden was a desired vacation destination when magistrate and political figure, Thomas Bennett, began arranging tours in 1848. Parking: Self-parking: Available; complimentary. Electronic Car Charging Station. Payment: All forms of payment are accepted. Payment is required at time of booking. Visa, MasterCard, Amex, Diners Club, JCB and Discover are accepted. Shuttle Service: Area shuttle service may be scheduled through the resort's concierge. Rates apply. 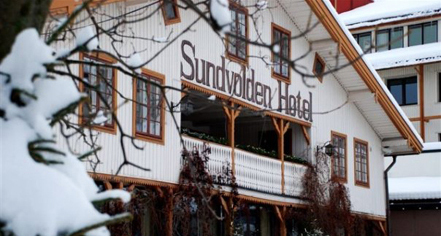 For over 350 years, Sundvolden Hotel has been the choice historic experience for tradesmen, farmers, artists, royalty and travelers from the furthest corners of the globe. Learn more about the History of Sundvolden Hotel .